Charming Charlie $15 Off Purchase Of $15 Or More! 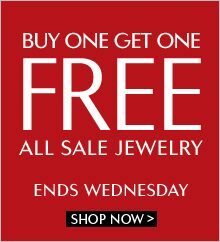 PLUS Buy One Get One FREE On Jewelry! You are here: Home / Great Deals / Charming Charlie $15 Off Purchase Of $15 Or More! PLUS Buy One Get One FREE On Jewelry! I LOVE Charming Charlie! They have the cutest stuff and the BEST sales, too! Right now you can get :b1g1; jewelry AND they have $15 off a purchase of $15 or more! Just use code: ZWYQAJBR at checkout! You can combine these 2 deals and make a great deal of your own! PLUS when you sign up for their email you get $10 off $50 on your first order!